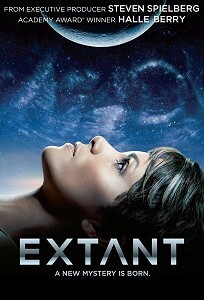 Extant is an American science fiction television drama. The story revolves around astronaut Molly Woods (Halle Berry) who returns home to her family inexplicably pregnant after 13 months in outer space on a solo mission. 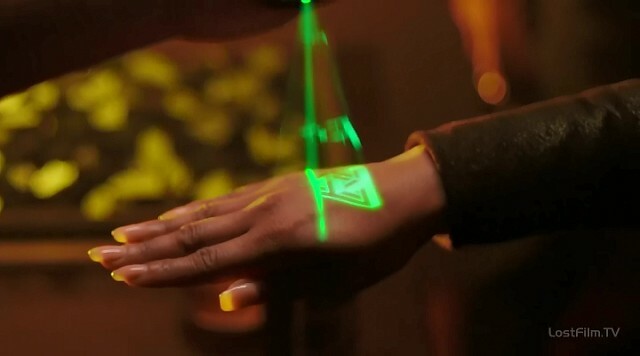 In the 6th episode of the 2nd season we see process of marking of entrance stamp to night club on hand. 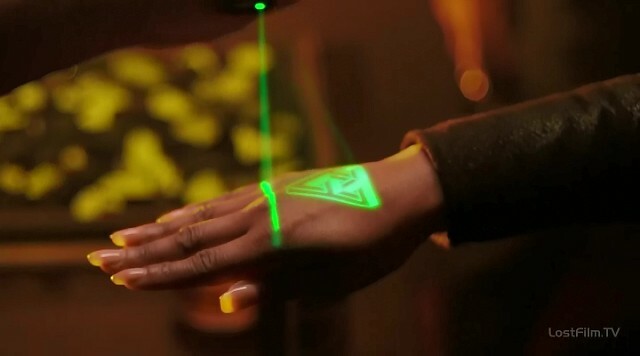 The stamp has form of complex impossible triangle.